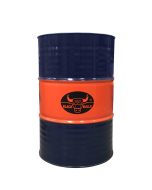 Black Bulls ULTRA ELECTRO Premium Generator Engine oil contains 100% virgin base stock formulated with the multiple additives and blended using latest technology for gasoline, diesel, gas or duel fuel engines. ULTRA ELECTRO Generator engine oil provides superior lubrication for commercial, or off-road application or as recommended by OEM. · Resists breakdown at high temperatures. · Longer drain intervals and smooth running of engines. · Good compatibility with rubber to Protect rubber seals. · Increases fuel economy due to ultra-low vaporization loss. · Highly efficient in dispersancy and detergency keeps engine clean. For gasoline, diesel, gas and duel fuel engines or as recommended by the OEM. Suitable for all engines requiring API SL series and 10W-40 viscosity.